This week's interview is with Kendalyn of Sage & Sea Apothecary. I met Kendalyn this past summer in the Field. She is the epitome of a collaborative spirit and we are so happy she is a part of the Field community! Her genuine and holistic approach to self-care shine through her handcrafted products and services for the mind, body and spirit. Buying from Kendalyn results in such a warm feeling. You know that her heart and soul go into everything that she creates. 1. The name Sage & Sea is calming in all senses. How did you come up with your name? Did it come to you before or after starting the creation of your line? When I decided to create products to sell, I didn’t feel comfortable launching a brand and line of products without a name. I spent quite a few weeks brainstorming because I wanted a name that really felt like me and reflected what I’m all about. 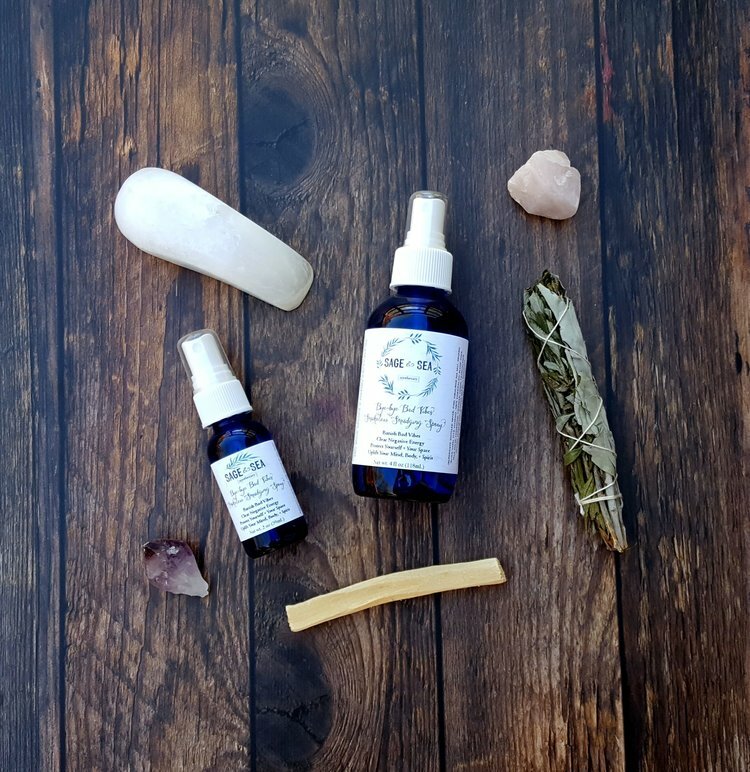 I decided right away that I wanted Apothecary in the name of my business because to me, that word calls to mind holistic wellness and herbal goods. I have a degree in marine biology and have had a love affair with the ocean for my entire life, so incorporating that into my name was important to me. The ocean also has amazing healing properties for both the mind and body, and that’s begun to resonate with me in different ways as my business has evolved. I’ve been into smudging with sage for several years and love that it calls to mind the act of purifying and clearing out what’s no longer serving you to create space for the things you do want in life. 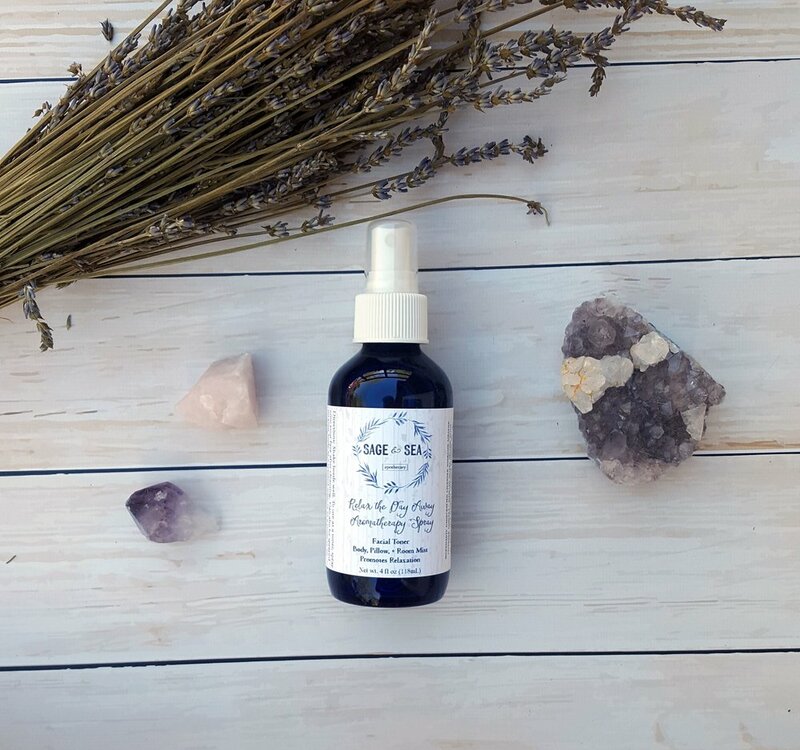 I love alliteration, so Sage & Sea Apothecary was perfect for the vibe I was trying to convey with my products and messaging. As my business has grown to incorporate sacred healing services in addition to natural products, it feels like even more of a perfect fit! 2. What's your favorite universal Sage & Sea product? One that you think everyone could benefit from. I absolutely love my smudging spray! It appeals to both women and men with it’s sweet yet earthy and herbaceous scent. We’re all dealing our own energy and that of the people we encounter every day, and it’s important to keep ourselves grounded and protected so that we’re not taking on other people’s stuff and making it our own. This is definitely a staple that everyone should be equipped with. 3. You are against GMOs and look to source materials that are organic, ethically harvested and fair trade. Do you find this is easy to do locally? Or do you have to sometimes look beyond New England? Yes and no. Some of the raw materials I use are extremely local, as in made in Rhode Island, like the honey I use from Aquidneck Honey. The beeswax I use in my beauty products comes from Kline Honey Bee Farm in Ohio because it’s great quality and I love supporting other small businesses when I can. For items I need in larger quantities, I stick to brands I trust online within the U.S. who offer high quality natural and/or organic materials, like Mountain Rose Herbs and Starwest Botanicals. The best part about how natural my ingredients are is that when I’m in a pinch I can often find what I need at a local supermarket! 4. There is beauty in your aesthetic. Your products, packaging and online presence exude a natural and artistic look. Your products make for a beautiful gift to a loved one or a beautiful addition to one's vanity. How do you approach incorporating visual beauty into your apothecary? Do you find that a consistent aesthetic is important? Thank you so much, I’m blushing! I’ve never thought of myself to have a designer’s eye, but I knew right from the get go that I wanted to create a cohesive aesthetic that would resonate with the women I create my products for. I wanted people to be able to proudly display my items on their vanity and show them off to their friends. I love the look of frosted glass, and use that for many of my bottles which can be reused by my customers or recycled when they’re no longer needed. I create all of the labels and graphics myself and have had so much fun figuring out how to take a vision in my mind and turn it into something pretty to look at. I think having a consistent aesthetic is key for any business because it’s what helps people to continue to recognize a brand, its products, and what it stands for. It’s important to me so that my customers anticipate they’re receiving the high quality goods they know, love, and expect from my brand when they see my products in person and online. 5. What is your favorite scent and why? Oh gosh, do I have to pick just one?! I’m a huge proponent of aromatherapy and am constantly diffusing essential oils at home, not only for their delicious scents but also for their healing properties. My first real experience with essential oils was during the Reiki healing cool down at Mind Body Barre where I eventually became an instructor. We walk around with lavender essential oil during the last few minutes of class as clients lay in savasana so that they can relax and recharge themselves after a challenging workout; the lavender scent really encourages softening of the mind and body so that you can come to a deep, relaxed state. I keep a little bottle of lavender essential oil close by wherever I go so that I can dab a few drops on my pulse points or just take a few deep breaths of its soothing scent when I’m feeling stressed and anxious. I often spray my lavender mist (Relax the Day Away Spray) on my pillow and sheets before drifting off to sleep, too. 6. I am so impressed with the way you stay in touch with your subscribers, fans and customers. I'm on your email newsletter and you are really good at keeping customers in the loop when you will be at a market. You also always have interesting and relevant blog posts. And....you're teaching an online workshop about mindfulness on 11/16! How do you balance the line between keeping your customers engaged while not flooding their inbox with messages that annoy them? You're a master at it! Thank you so much! This means a lot because it’s something I’ve struggled with since day one; I never used to know what to say, and then I started feeling scared and vulnerable when I opened up more about my personal life to my customers. Earlier this year I realized that people love buying products from me and other small business not only so they can support small, local shops, but also because they love connecting with the person or people behind the brand. As humans we crave connection, and I wanted to foster this within my tribe. I noticed that as I was putting more of myself out there and not just trying to tell people where and what to buy, more and more people were emailing me back to connect on a deeper level. This validated that I wasn’t alone in thinking and feeling the things I was expressing and made me feel good about sharing openly, which prompted me to switch from selling solely on Etsy to creating my own website so that I could share more meaningful content as blog posts. I try to share things as they come up for me because I’m constantly learning and changing, and every time I hit publish I remind myself to have faith that whatever the message is it will get to the people who it will serve the most and try not to worry too much about everything else. I definitely limit myself to emailing my customers no more than once a week unless something special is going on because I don’t want to spam them, I know how sacred email inboxes are! 7. You often promote other makers within your industry on your Instagram. I love how you look past what some may see as "competition" and instead see that supporting fellow makers, elevates us all. What do you find is the best part about meeting someone who has similar interests, creations and missions to you? I think what a lot of business owners miss is that competition is such a good, healthy thing! It means that there’s actually a market for what you’re looking to sell, and when someone doesn’t resonate with your competitor’s message they may turn to you instead. We all have different preferences, and that can even change throughout our lives. I know I use much different bath and beauty products than I did even five years ago! I operate as a solopreneur and it can get a little lonely at times, so I truly cherish the friends I’ve made who are making their businesses work. I love talking shop and swapping ideas, and being generous with my knowledge and taking opportunities to learn from other people. I’m a total introvert, but when I get talking with someone who’s passionate about the same things that I am I swear the conversation will never end, and I absolutely love that about connecting with other makers in my field. 8. You aim to empower women and embody this mission wholeheartedly through not only your apothecary line, and your welcoming and genuine personality but also other services that are a part of your business. Can you tell us about the other trainings and services your provide that contribute to self-care and empowerment? I’ve made a lot of personal changes and have gone through a ton of transformation over the last several years. I’ve noticed that the more I’ve healed myself the more I’ve wanted to share that process with others so they can see that it’s possible for them, too. I truly believe that when you become more self-aware of your thoughts and actions you can start to live a better, more meaningful life filled with kindness and compassion not only for others, but also for yourself. I also believe in the concept of mind-body unity where when the mind is suffering, so is the body, and vice versa, and know that each person has the capacity to heal themselves with the right tools, information, and support. I think one thing that a lot of people in the self-help industry try to hide is that the answers to all of your burning questions about your purpose, mission, etc. (the things that make you feel the most fulfilled) aren’t in the next course or book, and you don’t need to consult a psychic to find them - they’re inside of you, right now. I aim to empower women to reconnect to themselves in mind, body, and spirit so that they can listen to and interpret what their intuition is communicating to them, because that’s where the real magic happens. I’ve just begun to explore options that allow me to work with women in small groups and 1:1 through the internet and in person, which currently include a guided meditation series and Reiki healing services. My offerings will be expanding very soon, so stay tuned! 9. What is your advice to a fellow maker or creative who wants to take the next step in creating a small business, but is nervous about the thought of putting themselves out there? While putting yourself out there can be scary, there is so much beauty in that vulnerability. Through vulnerability we’re able to connect with other like-minded individuals and cultivate a sense of community and belonging, which we all crave. Opening yourself up to a new world and new adventures in business allows you to live a more full life by pursuing your passion, which is something you likely can’t ignore. Don’t let perfection or fear stop you from doing what you’re meant to do! 10. Dream collaboration? Can be a specific person, general person, company, etc. What would you create together?! Hands down Martha Stewart. She is an amazing business woman and just so damn talented. She’s also really funny and has a great sense of humor! Knowing her, I think we would create cold processed soap that’s made with goat’s milk from goats on her farm. It would also have some fresh orange blossom water that we would make together and she’d probably teach me how to distill my own sweet orange and clove essential oils. We’d press beautiful dried orange peels and fresh pine needles into the top of the soap and wrap it up with only the finest hand-painted wrapping paper because, you know, it’s gotta be gift ready if it’s coming from Martha! See more of Kendalyn's work on Instagram and Facebook! She also sells through her online shop! 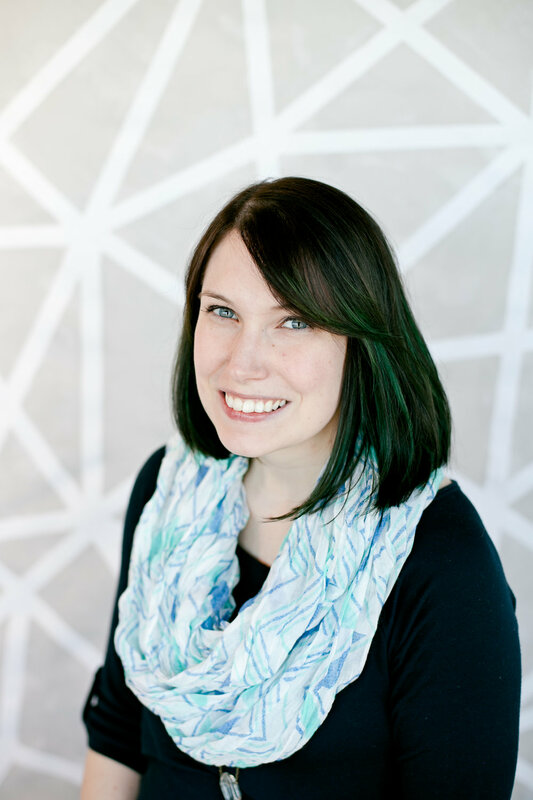 Katrina has a passion for bringing people together and facilitating success for them in their creative and original endeavors. Originally from the Ocean State, Katrina moved to NYC to work in fashion. She honed her skills through a wide range of experiences including styling at NY Fashion Week, merchandising at Kate Spade and event planning for art galleries. While living in the city, Katrina created her own accessory line and sold at markets such as Artists and Fleas and Brooklyn Bazaar. 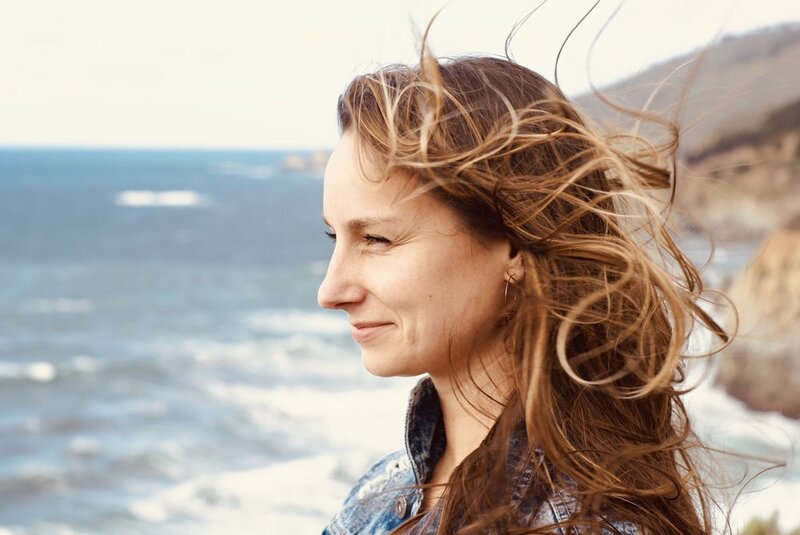 Inspired by the business opportunities available for artists in a city, Katrina moved back to RI to create more opportunity for artists by the ocean. Field of Artisans was born in 2015 and has grown every year since. Kevin is an efficient executor while also being a charming conversationalist. His experience in hospitality ranges from managing high volume NYC bars to esteemed fine dining restaurants in RI. His ability to look at events from a logistical perspective while also making genuine connections with event attendees, makes him an invaluable member of the Field of Artisans setup team.